Order your own copy of these adversary decks at your local retailer or online through our website today! With an official population of over 500,000,000 people, you never know who you may run into during your adventures in New Angeles. 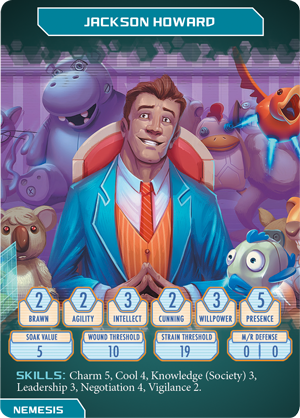 From rogue bioroids to megacorp executives, a chance encounter could spiral into a world of trouble… or the perfect opportunity to make a profit. 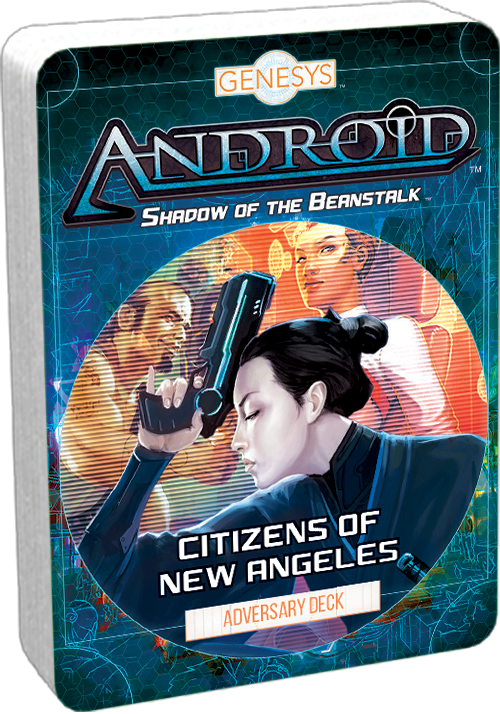 Fantasy Flight Games is proud to announce three new adversary decks for Shadow of the Beanstalk, an Android sourcebook for the Genesys Roleplaying System! Each of these decks features twenty cards representing powerful adversaries from the Android universe. 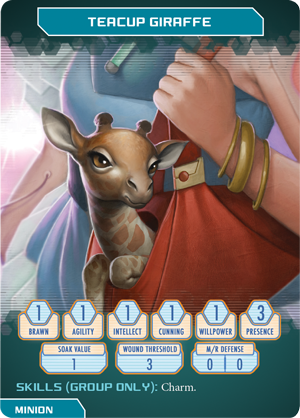 These cards feature all of the vital stats and information that you need for these characters to be used during your games of Genesys, giving Game Masters the tools to keep the game running while introducing new NPCs into your adventure! 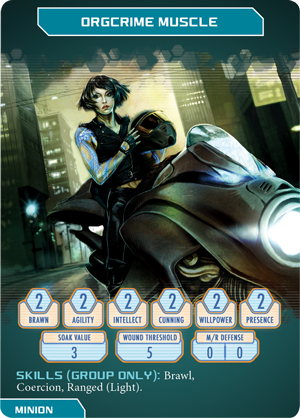 The Androids, Drones, and Synthetics Adversary Deck features characters brought to life by the massive advancements in technology prevalent in the Android universe. 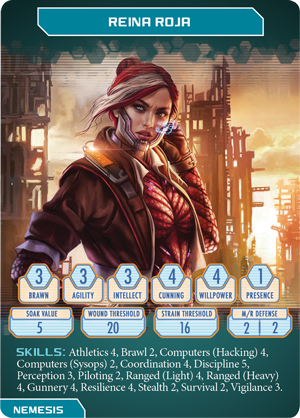 The Citizens of New Angeles Adversary Deck populates your world with everyday citizens, and the Runners, Mercs, and Criminals Adversary Deck brings some of the most famous (and infamous) characters of the Android universe to your tabletop! While two of these adversary decks exclusively feature characters found in the Shadow of the Beanstalk sourcebook, within the Runners, Mercs, and Criminals Adversary Deck you'll also find adversaries that are profiled for the first time within this deck! 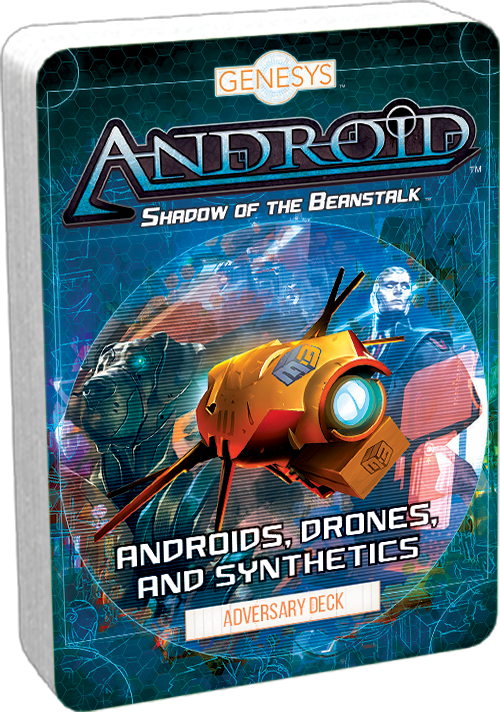 The Androids, Drones, and Synthetics Adversary Deck explores new life in the world of Android. 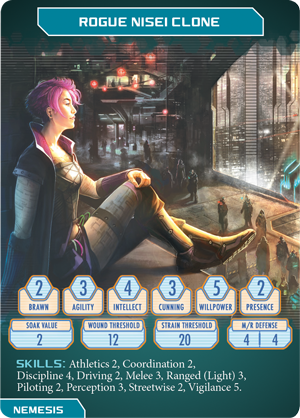 From the bioroids of Haas-Bioroid to the clones of Jinteki, populating your world with these characters immerses your players in the cyberpunk future of Android, and this adversary deck keeps all of the relevant stats and information right at your fingertips! 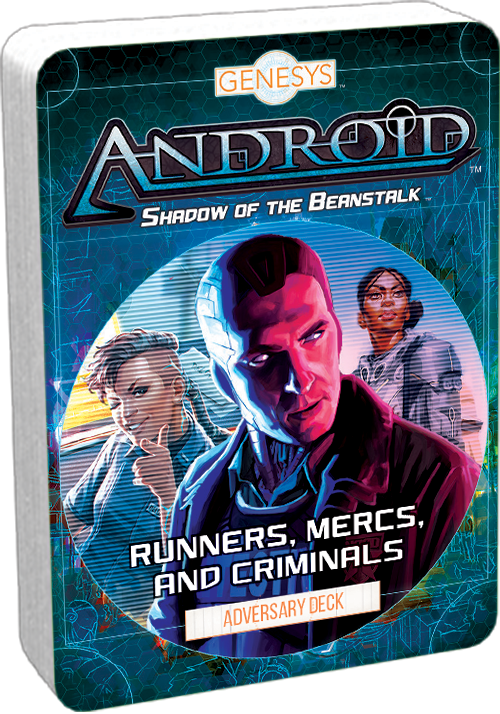 Finally, the Runners, Mercs, and Criminals Adversary Deck features some of the most famous faces in the Android universe. 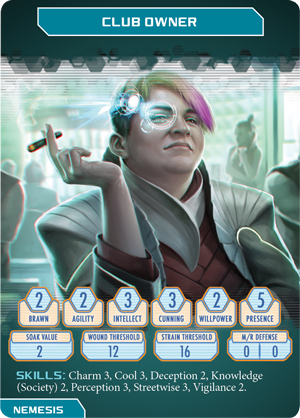 From clone detective Caprice Nisei, to NBN executive Jackson Howard, to rogue runner Reina Roja, if you want to include individuals who have made their mark in the Android universe in your games, this is the adversary deck for you. While some of these adversaries are featured in Shadow of the Beanstalk, others are profiled for the very first time in this deck! New Angeles is overflowing with people just trying to find their path in an increasingly shrinking world. With the Shadow of the Beanstalk adversary decks, you can keep this chaos organized and these characters at your fingertips. What stories will you tell in your own cyberpunk future? 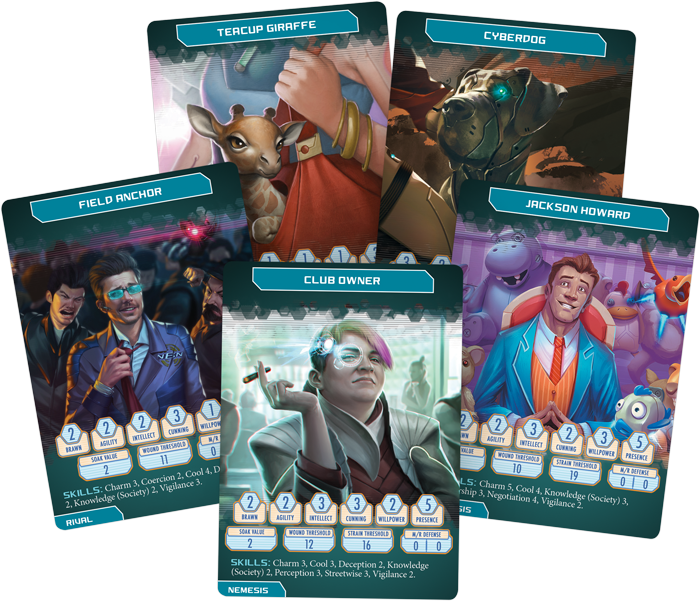 The world of Android is yours to explore with the Androids, Drones, and Synthetics Adversary Deck (uGNS07), the Citizens of New Angeles Adversary Deck (uGNS08), and the Runners, Mercs, and Criminals Adversary Deck (uGNS09), available for pre-order from your local retailer or our website!